Edition Reviewed: Hardback - Review and giveaway copies received courtesy of Zondervan Publishing, the publisher, many thanks to both the author and the publisher for sending me a copy to review and one to giveaway! 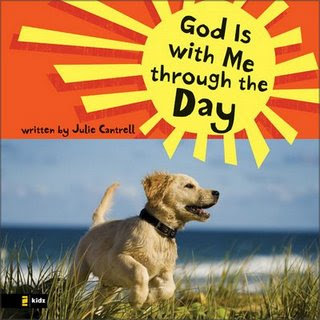 My Thoughts: God is With Me Through The Day and God is With Me Through the Night are both beautiful books, with full color photographs of animals that children and adults will love. The words on each page are large and colorful, making it easy for children to follow along or read. On top of the wonderful pictures and easy to read words, the message throughout the book is very family-oriented and is uplifting and makes children feel more secure. Each book ends with a scripture from the bible. While the book is recommended for kids ages 4-7, I feel completely fine letting my 2 (almost 3) year old leaf through the book. He does not tear pages, and loves the big colorful pictures and words. The book is also quick enough to read that it keeps his attention, and we can use the pictures to explain the sentiments being expressed, as well as providing other learning opportunities (what is the bird sitting on, where is the bear's foot, how many birds are sitting on the branch, what color is the..., etc). 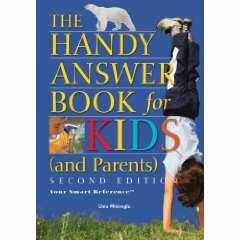 So, I would even recommend this book for children as young as 2 with adult help! They are wonderful and impart very helpful messages. 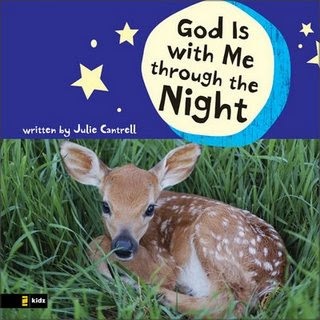 Pictures: The pictures are wonderful full-color photographs of animals, some are very funny and help to illustrate what Julie Cantrell is writing about. Story-Line: Very family-friendly, and supportive of young minds. The feelings of security they help provide are wonderful. Readability: VERY easy to read and enjoyable for all ages. Overall: These are great books that help to address issues like God is always watching over us, He loves us, He keeps us Safe, etc. Back Cover: Brave mice and playful puppies inspire little hearts to have big faith. You are safe, brave, and loved because God is always there - all through the day. Back Cover: Cheerful dolphins and loving zebras inspire timid hearts to have big faith. Even in the dark, God keeps his children safe, brave, and loved. He is always there - all through the night. Julie Cantrell was born in Louisiana, where she grew up running barefoot over fire ant beds, swimming with alligators, and eating crawfish. Today, she lives with her husband and two spirited children in Mississippi, hallowed ground for many famous authors. The drawing will be held December 13th, with the hope that I can get the books to you prior to Christmas! Winner: I will send you an email, please reply with your address so I can send the books directly to you! Tuesday Thinger: It's That Time of Year - SantaThing is Here! Who: It is open to more countries this year (see full list), and you can sign up a non-LT member to receive books as well. How: Become a Secret Santa, get a name/profile from LT, pick out books based on their library and/or wishes, then LT will place the orders and take care of shipping! ... wait for your package to arrive from your Secret Santa. Questions: Have you ever participated in SantaThing (it is in its third year)? If so, what did you like? Dislike? Are you planning to participate this year? My Answer: I have never participated in SantaThing before, but did hear really good things about it last year. I haven't decided if I'm going to participate this year. My TBR pile is more like a mountain or two, and I'm working really hard to try and catch up... that said, I am REALLY tempted because it sounds like so much fun. Edition Reviewed: Box Set ~ Many thanks to D&D Creations, the creators of A Life Well Read, for sending me a box set for review. Special Promotion going on NOW! For readers of Wendi's Book Corner ~ A Life Unplugged has set up a special page just for you, where you can get 25% off discount! Just click here!! 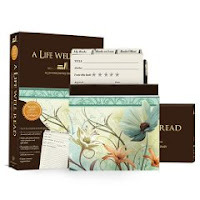 My Thoughts: First, let me start by sharing a few key things I noticed while setting up my A Life Well Read box set. The set is elegant and fits in really nicely on a book shelf next to books. The box set is really well-thought-out and complete, all you need to add is your own books or book lists. Next, let me share a quick lesson with you. I belong to a very fun book club, where we meet once per month, and have been meeting for about six or so years. Every few meetings we think back about some of our favorite books and TRY to remember exactly what we've read! Let me tell you... when you've read more than 70 books as a group, it can get hard to remember every single title, let alone your top favorites! What I love about A Life Well Read is that it is helping me to document the books we are reading, including special notes about the meetings (what we ate, recipes, guests, notes about how the group liked the book, etc). I am even able to have a section for suggested reading books, where I can include the title, author, and who suggested the book. On top of that, as I'm reading, I can tuck the card for that book into the book itself and add notes/page numbers to passages I'd like to share during our get-together. With that said, let me tell you my favorites about the inserts within the box set. It comes with 50 double-sided cards to document your books (author, title, book rating, where you got the book from, date, genre, notes, lending history, book club selection, and information on availability). It also comes with sheets of book plates for gift giving, as well as those for "from the library of," which I have had a hard time locating! These are wonderful features, especially when you add the tabs that help to organize your cards within the box. I challenge you to leave me comments with more great ideas as to how you could use this system! If I could add anything to this box set, it would be some elegant clear stickers with gold numbers on them that could be added to the spine of the box to show which volume the box set is... I foresee the need for multiple boxes in my future! Finally, a truly unique gift idea for book lovers of all ages! Bookworms who love to read books, create their own book reviews and summaries, buy books as gifts and create their own “must read” book lists will love A Life Well Read—My Personal Journey Through Books®. The first in a series of Living Unplugged™ products, this is the ideal personalized and mobile reader’s companion for anyone who wants to celebrate the simple joy of reading books – the old fashioned way – and for those who savor their moments “unplugged” away from the wired world of computers and the internet. 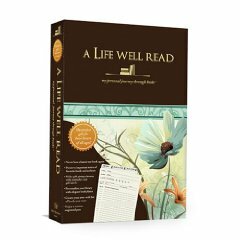 A Life Well Read is the perfect gift for your family and friends, fellow book club members, students as well as being a great gift for birthday’s, anniversaries and other special occasions. With this practical and easy-to-use journaling aid for book aficionados, you can organize a book collection, add to a book wish list, start a book gift list for friends and keep track of loaned out books and book club events. This modern, mobile and personalized solution for organizing your favorite book content contains everything a book lover would want all in a beautiful keepsake box that fits right on your bookshelf! Keep track of the books you yearn for. Fill out the “Title” and “author” information on a main card and file it in the “Books I Want” section to create your own book wish list. Organize your personal library. Collect your book lists and your notes about great book content and book recommendations according to five preprinted categories: (All) My Books, My Favorites, Books I Want, Books On Loan, Books To Give. Customize your categories. Belong to a book club? Use one of the blank dividers to label “book club” and use the main card to keep track of book club books, meeting dates and comments. Personalize your library. Included in the box are 56 elegant bookplates to insert inside any of your books to ensure your beloved books stay in your library. Never lose track of loaned out books again! On the back of the main card is a lending history area that will help you to remember who you loaned the book to, when you loaned out, and when you got it back. Once the book is on loan, file it under “Books On Loan”. Make book gift-giving a breeze. Special “gift” cards help track books you’d love to give. Write the title and name of the person/people that you want to give the book to on our special “Gift Card”. Check the “given” box once the gift has been purchased so you can keep track of who you have given that book to. Beautiful gift labels add that personal touch to the gift of books. And never find yourself asking, “Now if I only could find a pen…”. Enjoy using our classic writing pen which is comfortable to write with and a joy to hold - to make notes on any of your cards or book plates. ~An elegant, premium-quality keepsake box in the shape of a book which fits easily on your bookshelf to keep your personalized impressions for years to come. Share them with family and friends anytime! the book, book club notes, lending history by title and author. ~5 pre-printed (and 7 blank) dividers to organize your note cards into an evolving reader's journal of your best book content (All) My Books, My Favorites, Books I Want, Books On Loan, Books To Give plus 7 additional blank dividers to customize for your own needs. Categorize by title, author and subject. ~56 elegant bookplates to personalize your books in your own personal library. 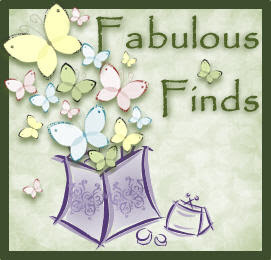 ~24 color gift labels to add a personal touch to your gifts of books to friends, family and fellow book club members. ~A classic, heavy weight ballpoint pen which fits neatly into your keepsake box so you are always prepared to capture a lifetime of reading! A Life Unplugged (dba D & D Creations) is dedicated to the creation of unique gift products of exceptional beauty and quality which encourage all to pursue the enjoyment of a life beyond the wired world. The mission of A Life Unplugged is to take back your quality of life and celebrate the spirit of life’s simple pleasures. A Life Unplugged was founded by two busy, working moms in Southern California who not only share the same name (Debra and Deborah), but also the dream to create something on their own. After years of reading O Magazine and watching the Oprah show, it was the Oprah / QVC "Next Big Idea” contest in 2007 that moved them from dreaming into action. With the contest coming to Los Angeles, they knew the time was now. Their inspiration was to reflect on their own lives and what was missing. What they found was that their lives had become almost too full. They never seemed to be able to get away from the wired world long enough to enjoy the simple things they enjoyed before the computer and the internet forever changed their lives. Don’t get them wrong – they love technology. But they also know there is a time and place to simply “unplug” and relax. With that - the concept for A Life Unplugged was born. Although they weren’t finalists in the competition, they walked away winners, bringing their idea into reality. These two women are passionate about their crusade to encourage buyers of their products to return to the simple pleasures in life and spread the message behind A Life Unplugged to others. So if you are of a similar mind, buy a gift, spread the word and enjoy! As a Special Thank You for readers of Wendi's Book Corner, A Life Unplugged has set up a special page just for you, where you can get 25% off discount! Just click here!! Edition Reviewed: Paperback - Review copy received courtesy of the publisher and Pump Up Your Book Promotions. Many thanks to the author, the publisher and the people at Pump Up Your Book Promotions for sending me a copy to review! My Thoughts: Sins of the Flesh is a heart pounding romance filled with mystery, suspense, and a mercenary who may have a heart to match his brawn when it comes to the slightly less-fortunate Cat Shaw. Caterina Shaw, a famous cellist, has been diagnosed with a terminal brain tumor, and has agreed to an experimental gene treatment as a last hope. When one of the doctors is found murdered and Cat is missing, she becomes the main suspect. With the police looking for her, Dr. Edwards has hired mercenaries to find and return Cat to him as he can't risk his experiment (or her strange new abilities) falling into the wrong hands. When Mick finds her, he is faced with a woman he was not expecting, bringing more questions than answers. She is wounded and confused, and he can see that she has been abused, so he finds himself determined to shelter and help her instead of turning her over to Dr. Edwards. There is definitely a burning attraction between Cat and Mick, and as the story progresses, it becomes clear that they will have to trust each other and work together to stay alive and safe. 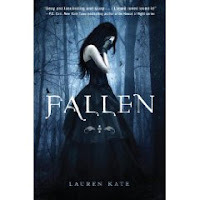 I really enjoyed the fast pace of the book, as it had no problem keeping my attention, and I was overjoyed to read that there is already a second book in the series. Characters: Filled with strength and a desire to find the truth. Filled with chemistry that keeps the readers attention. Story-Line: Picks up quickly and doesn't slow down! Readability: Easy to read, hard to put down. Overall: A great start to a new series by author Caridad Pineiro! The day the music died, Caterina Shaw did as well. Not physically, although she understood the death of her body was inevitable. She had come to terms with that reality some time ago. She had even managed to deal with the blindness caused by the tumor eating away her brain. But then the pain had become so great that it had silenced the music, stealing away the only thing that had made life worth the anguish. “You understand this treatment is new and uncertain,” Dr. Rudy Wells explained, his voice smooth and comforting. The touch of his hand, warm and reassuring, came against hers as it rested on her thigh. “I understand,” she said and faced the direction of that calming voice. Caterina’s only wish when considering the experimental treatment had been to stop the pain so that she could play her cello once again. So that her last months would be filled with the vitality her music provided. It was through her music that she lived. That her mother lived, Caterina thought, recalling the passion she had felt as a small child when her mother had played the piano for her; the way her mother’s fingers had coaxed life from the keys much like she now did with a stroke of her bow and the deft touch of her fingers on the strings of her cello. Or at least like she had up until the cancer had put an end to her music, bringing her life to a close. Except now she was being told something different. Caterina had never thought about eliminating the tumor. Every prognosis so far had been that she was terminal. Now these new doctors told her not only that might she live, but that she might actually see again too. She didn’t dare believe that she would be able to get her old life back completely, as well as her sight but . . .
“You think I’ll be able to recover? To see again?” Caterina asked, needing to be sure she had understood correctly. “The risks are great, my dear,” Dr. Wells urged gently. “But you qualify for the human trials because of the advanced state of your illness, Ms. Shaw,” Dr. Edwards added, annoyance at his partner evident in the staccato beats of his voice. Her advanced state which could possibly bring death even with this treatment, Caterina thought. Not that she feared her end. What she did fear was letting the pain in her head rob her of the one thing she could not live without. She knew without hesitation that it was worth any risk to regain that part of her. To drive back the illness so she could play her cello once more and reanimate her heart for as long as she had left if the treatments couldn’t stop the tumor. Copyright © 2009 by Caridad Pineiro. All rights reserved. New York Times and USA Today bestseller Caridad Pineiro wrote her first novel in the fifth grade when her teacher assigned a project – to write a book for a class lending library. Bitten by the writing bug, Caridad continued with her passion for the written word through high school, college and law school. Shortly after the birth of her daughter, Caridad’s passion for writing led to a determination to become published and share the stories she loved with others. In 1999, Caridad’s first novel was released and a decade later, Caridad is the author of over twenty novels and novellas. Caridad hopes to continue to share her stories with readers all over the world for years to come. When not writing, Caridad is an attorney, wife and mother to an aspiring writer and fashionista. For more information on Caridad, please visit www.caridad.com or www.thecallingvampirenovels.com. Caridad Pineiro’s SINS OF THE FLESH VIRTUAL BLOG TOUR ‘09 will officially begin on Nov. 2 and end on Nov. 27. You can visit Caridad’s blog stops at www.virtualbooktours.wordpress.com during the month of November to find out more about this great book and talented author! This week's Thinger topic is another great topic from Caite, over at A Lovely Shore Breeze. (Caite!! I don't know what I would have done without you! A LOOOOONG night last night had me dreading the computer and my state of brain-deaded-ness today! Thank you!)... 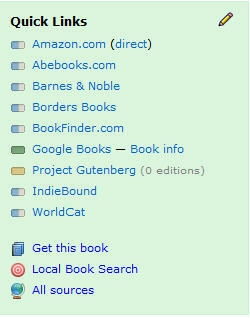 Caite pointed out a brand new feature that Library Thing has added as of November 16th, and it is pretty neat! 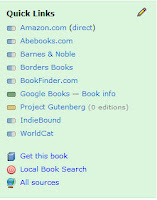 The programmers over at Library Thing have worked hard for over two months to create a new feature that will help us users of the site to see where the books we are looking up are available... more details here. This is easy... you go to a book page, and there is a new link on the right hand side under the "Quick Links" section called "Get this book." On the picture to the left, it is the 3rd from the bottom. When you click on it, it gives you a page that explores all the ebook versions available, online audio, and regular books (including swap sites, used books, new books, local stores, etc). Why is this important???? I can think of two really great reasons, and I'm sure you can think of even more. :) First, if you are looking for a specific book (on your wishlist, or want to give as a gift) you can see the versions available, and a whole range of prices at one glance, including swap sites, which is great, especially if you have credits available somewhere! Second, if you are ready to trim down your bookshelves, you can see how many copies are "wanted" on swap sites, and you can see the low used prices on many sites. Questions: Have you explored this great new feature? Can you think of any times this would be handy to use? Were any of the Local (bookstores or libraries) resources surprising? How did the Swap sites seem? Think you will use this feature in the future? - I LOVED that I could see this all in one glance! While Sound of Sleigh Bells is a new book, I decided to look up one of my trusty favorites, Ruth - A Love Story by Ellen Gunderson Traylor, and the results were great! - Swap sites :) There were copies available at PBS, and I could see where there were copies wanted as well! Overall, it was a lot of fun to check out this new feature. AND a HUGE thank you to Caite again for helping me with this week's topic! Hugs!! Many thanks to Marcia at The Printed Page and Kristi at The Story Siren for hosting Mailbox Monday and In My Mailbox every week! Finally, a truly NEW product for book lovers! Combining the intimacy of a diary and the organization of a Rolodex, A Life Well Read-My Personal Journey Through Books is ideal for readers who want to create a personalized record of their book content - wherever and whenever they can find a moment to pursue their passion for reading. The set contains fifty preprinted book cards to keep track of notes, quotes, and impressions of each title read (or to be read), with space to record the lending history, and, if applicable, book-club information (meeting date, who recommended it, etc.). File the book cards behind dividers such as my books, books on loan, books I want, or use the blank dividers to create your own sections. Simplify gift-giving with the three Give the Gift of Books cards, which offer space to jot down people to whom you d like to give specific titles. You ll even find sheets of fiftysix colorful bookplate stickers, as well as twenty-four lovely gift labels. Along with a handsome ballpoint pen, everything comes neatly encased in a sturdy book-shaped box with a pretty floral pattern, which fits right on the bookshelf. It s the perfect gift for book lover who has everything! From Amazon: A bright new voice shares a tender love story set in the rolling green fields of Ohio Amish country. After the death of her husband, Hannah Brown is determined to make a new life with her sister’s family. But when she sells her farm in Lancaster County, Pennsylvania, and moves with her sheep to Ohio, the wool unexpectedly starts to fly. Her deacon brother–in–law finds just about everything about Hannah vexing. When his widower brother shows interest in the young and beautiful widow, the deacon turns to prayer for guidance. Hannah thought she could never love again, until she meets the strong, gentle farmer. Unfortunately, Seth Miller’s only interest is in Hannah’s sheep. He is content in his bachelor state and slow to recognize his daughter’s need for a new mother. Yet God offers Seth the perfect solution to their problems if he could only open his heart again...and love. - The complete text of the Charles Dickens classic. - Annotations offering interesting insight into the story’s biblical allusions, the author’s faith, and compelling Christian themes throughout. - Discussion questions designed to engage and promote dialogue among readers of all ages on such subjects as regret, repentance, and redemption. - A list of related resources to enhance your study. From Amazon: Betty Kowalski isn't looking forward to the holidays. She just can't seem to find Christmas in her heart. There's church, of course. But who can she bake for these days? And who would care whether or not she pulled out the Christmas decorations? Her new neighbor just adds to the problem. He's doing home improvements that don't appear to be improving much of anything. These days when Betty looks out the window, she sees a beat-up truck, a pile of junk, lots of blue tarps, and--horror of horrors--an old pink toilet. But when a mangy dog appears at her doorstep, the stage is set for Betty to learn a very important lesson about what Christmas is all about. This contemporary Christmas story is a timely yet gentle reminder that God can work miracles through something as seemingly insignificant as a little brown dog. From CFBA email: In the tradition of The Christmas Shoes and A Christmas on Jane Street, the heartwarming story of The Christmas Glass shows how, today as always, the Christmas miracle works its wonders in the human heart. In the early days of World War II in Italy, Anna, a young widow who runs a small orphanage, carefully wraps her most cherished possessions -- a dozen hand-blown, German-made, Christmas ornaments, handed down by her mother -- and sends them to a cousin she hasn't seen in years. Anna is distressed to part with her only tangible reminder of her mother, but she worries that the ornaments will be lost or destroyed in the war, especially now that her orphanage has begun to secretly shelter Jewish children. 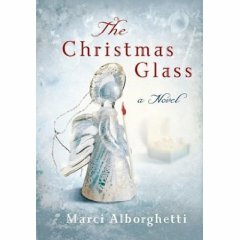 Anna's young cousin Filomena is married with two-year-old twins when she receives the box of precious Christmas glass. After the war, Filomena emigrates to America, where the precious ornaments are passed down through the generations. After more than forty years, twelve people come to possess a piece of Christmas glass, some intimately connected by family bonds, some connected only through the history of the ornaments. As Christmas Day approaches, readers join each character in a journey of laughter and tears, fractures and healings, as Filomena, now an eighty-four-year-old great-grandmother, brings them all to what will be either a wondrous reunion or a disaster that may shatter them all like the precious glass they cherish. Christmas trees, twinkling lights, skating in the park, and holiday displays are the hallmark elements for celebrating Jesus birth for the sentimental residents of Nativity, Missouri. Will fiscal responsibility replace Christmas their traditions when times are tough? Though their priorities and methods clash, Roni Elliot and Jake Brisco want the same thing, for the town to prosper. As the two get to know each other better, each begins to gain a new perspective on what the real wealth of Nativity and the season might be. Peek inside a dinosaur egg, discover what dinosaurs really ate, and learn how dinosaur tracks are made - all in this awesomely-illustrated book! - meet the most unusual creatures to ever walk the earth, stalk the seas, or soar across the sky! - discover how dinosaur bonebeds are made, and other kinds of fossils beyond just bones! - learn the truth behind museum exhibits and flawed evolutionary timelines! 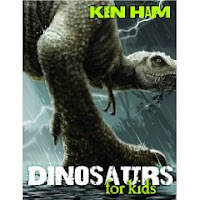 Within these pages kids will uncover the facts about dinosaur history from the Creation to recent discoveries. Let Ken Ham take you on a journey through time to explore these awesome wonders of God's design. From where dinosaurs lived to what scientists assume they know about these great creatures, dinosaurs have never been this exciting, revealing, and simply amazing! From Amazon: There's something achingly familiar about Daniel Grigori. From Amazon: As President of Grace Savings and Loans, Charmayne Ellis is an established, polished professional. Although she has reached great success, her ridiculing mother and wise cracking younger sister won't let her forget that she is a 36-year-old, overweight, unmarried woman. In an attempt to help, Charmayne's best friend, Lynette, is obsessed with setting her up on a series of pity-driven blind dates. When a drop-dead gorgeous man, Travis Moon, shows interest, Charmayne's caution light blinks like crazy. But out of loneliness and pressure from her family Charmayne ignores her gut feeling and gets married. Yet instead of marital bliss, Charmayne begins to discover new things about her husband that force her to question her marriage and her faith in God. From Amazon: As a launching pad for inquisitive young minds and a life raft for parents at wits end, this collection addresses a critical part of being a kid: asking questions. A wide variety of questions are answered, such as Is there life on Mars? Do rivers ever dry up? Why are there wars? Is there such a thing as a funny bone? What is DNA? Having this nearby will equip every parent for those difficult, absurd, or sometimes funny questions from their kids. Amazon: Julia Cavanaugh has never left New York City. But in 1890, the young woman must head west to ensure that the orphans under her care are settled into good families. After her final stop in Montana, she plans to head straight back east. But upon arriving in the remote town of Lonesome Prairie, Julia learns to her horror that she is also supposed to be deliveredinto the hands of an uncouth miner who carries a bill of purchase for his new bride. She turns to a respected circuit preacher to protect her from a forced marriage but with no return fare and few friends, Julias options are bleak. 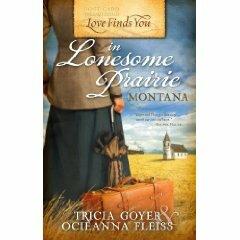 What is Gods plan for her in the middle of the vast Montana prairie? What if you, personally, could make the world a better place...by tomorrow? Debbie Macomber knows the secret to doing exactly that! In a world that seems too often stingy and grudging, she has witnessed how one simple act of generosity can yield unforeseen miracles. You are about to discover, through true stories, what happens when we commit intentional acts of generosity. Lives are changed in ways we never envisioned. Come with Debbie late one evening through the checkout line at the grocery store. Visit a midwestern train station. Discover the link between a submarine, a few bread crumbs, and some minnows. Visit ancient Galilee as a young boy volunteers his fishes and loaves to Jesus only to see his meager gift multiplied many times over to feed five thousand. Listen in on a touching phone call with an elderly widow. You will stand amazed at what God accomplishes when we make ourselves available through simple acts of generosity. This blend of true stories and motivating messages will delight and surprise you as you discover how giving the gifts of time, encouragement, hope, laughter, prayer, hospitality, service, and even forgiveness can have lasting, life-changing impact, not only on the recipient of such gifts but on the giver as well. 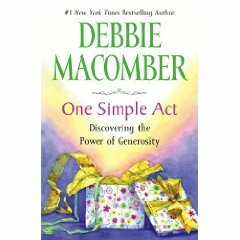 Debbie Macomber, through the power of story, invites us to live with open hands, offering who we are and what we have to God, to use in the lives of others. When we do so, lives--including our own--are changed in ways we couldn't have imagined. All it takes is one simple act. Amazon: Patrick Collins is seven years old, and on his Christmas list are only three items. He wants the army to find his father. He wants to leave his grandfather's house. And, for reasons even he doesn't understand, he wants the soldier that's tucked away in his grandfather's attic. 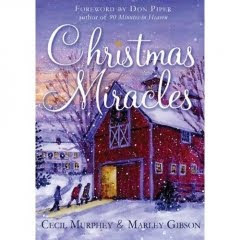 Set at Christmastime in 1943, The Unfinished Gift tells in an engaging, simple style the story of a family, and reminds us of the surprising things that affect powerful change in our hearts--like a young boy's prayers, a shoebox full of love letters, and even an old wooden soldier, long forgotten. This nostalgic story of forgiveness will engage readers everywhere. One winner will be chosen from all the comments left throughout the tour stops. Good luck! Edition Reviewed: Paperback - Review copy received courtesy of the publisher and CFBA, many thanks to the author and the publisher for sending me a copy to review as part of this CFBA Blog Tour! My Thoughts: I found Fit To Be Tied to be a really fun and enjoyable read. While it is the second book in the Sisters of Bethlehem Springs series, I had no problems picking it up as a stand-alone book (although now I want to go back and read book 1). The premise of the book is just so fun - the fourth son of an English Duke has sunk so low in his father's eyes, that his father asks for a favor of an American acquaintance: that his son, Sherwood Statham, be sent to America to earn his way for an entire year. 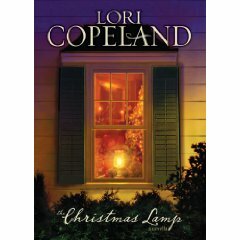 When he arrives in Bethlehem Springs, Idaho, he expects to work at his friend Morgan's new spa, but finds that he is to work as a ranch hand with Morgan's in-laws, the Arlingtons, a father/daughter team. Griff Arlington sees a lot of hurt and potential in Statham, and asks his very independent cowgirl daughter Cleo (Cleopatra) to show him the ropes and help him adjust. From the beginning, the tension between Woody (as Cleo calls him) and Cleo is obvious (and fun) to the reader. But as the story progresses, it is fun to watch as Woody grudgingly begins to see Cleo as as a young woman who has shouldered a lot of responsibility instead of the boyish and snappingly independent, pants-wearing female he first noticed at the train station. 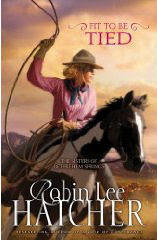 The same can be said of Cleo, who begins to notice Woody in a different light, seeing the hurt he must feel as he is abandoned by his family, and the pain he must be in due to his injuries in the war, all while he does his fair share of the work around the ranch without complaint, even though it is so foreign to his proper English upbringing. I won't say more as I don't want to spoil the story, except that I will add that the story takes off quickly and before you know it, you've read all afternoon and enjoyed a very nice story! Characters: The interaction and differences between them are great. Cleo Arlington dresses like a cowboy, is fearless and fun-loving, and can ride, rope, and wrangle a horse as well as any man. In 1916, however, those talents aren’t what most young women aspire to. But Cleo isn’t most women. Twenty-nine years old and single, Cleo loves life on her father’s Idaho ranch. Still, she hopes someday to marry and have children. Just about everything either of them says or does leaves the other, well, fit to be tied. Cleo Arlington knows everything about horses but nothing about men. And though Cleo believes God’s plan for her includes a husband, it couldn’t possibly be Sherwood Statham. Could it? Their bumpy trot into romance is frustrating, exhilarating, and ultimately heartwarming. If you would like to read the first chapter of Fit to Be Tied , go HERE. Tonight's Thinger is quick and simple (I hope!). As I was looking over LT features and tabs, I realized that I didn't know where people were connecting to the site from, when they were doing it, and why! Questions: Do you connect to Library Thing from home, work, mobile, other? When do you find yourself on Library Thing (throughout the day, evenings, etc)? Why do you primarily connect to LT? My Answer: I connect to Library Thing from home! I generally go to the site in the late evenings, but will occasionally visit during the day if I'm looking for something specific. :) I usually visit the site to read reviews that people have written about books I'm considering picking up, or to post reviews myself. Every now and then I connect to participate in the groups or forum. Mix all ingredients together. Apply to hair. Leave on for 20 minutes. Rinse with warm water. Finish with a cold-water rinse." Get the most out of your look by learning the simple building blocks of skin care, make-up, hair, clothing and accessories to build the best you possible! • Become your own brand by discovering your personal unique style. • Make a powerful impression by discovering the secret language of color. • Look like you stepped out of a magazine cover on your wedding day. • 50 ways to beat acne for good. • Disguise figure faults by choosing the right clothing for your body type. • Strengthen your internal beauty and project a stronger more powerful image. • Never have to ask “how do I look” ever again. • Look 10 years younger with skin care recipes you can make in your own kitchen. • Learn the right hair style and hair color for your personal face structure and never have a bad hair day again. Edition Reviewed: Paperback - Received courtesy of the publisher for review and participation in their blogger review program! My Thoughts: Keeping the Spirit alive with down-home cooking and some wonderful people... not only does Jack Daniel's Spirit of Tennessee explore some wonderful recipes that include the classic whiskey, but Lynne Tolley and Pat Mitchamore also took time to explore the history and people that make up Tennessee itself (they even included lots of great photographs). The cookbook also includes some non-whiskey recipes that really represent the people and tastes of Tennessee. Format: Cleverly mixing the history of Tennessee throughout the different sections of the cookbook make it more personal and give it more depth. Overall: This cookbook is a great addition to any kitchen, and would be a great gift for any whiskey fan... add to that the fact that these recipes would be great for entertaining and for everyday cooking! From the Publisher: The rich tradition of country cooking, the distinctive taste of Jack Daniel's Tennessee Whiskey, and the heritage of rural America are all elegantly captured in Jack Daniel's The Spirit of Tennessee Cookbook. Included are more than 350 recipes, stunning full-color photographs, and stories of the people, places, and traditions of Middle Tennessee. Illustrated and indexed. Lynne Tolley, the great-grandniece of Jack Daniel, is the proprietress of Miss Mary Bobo's Boarding House restaurant in Lynchburg, Tennessee. Lynne travels extensively as a talk show guest, sharing traditional southern recipes. 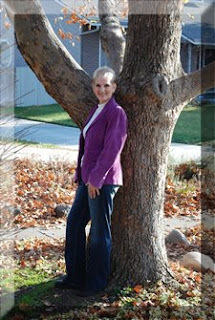 Pat Mitchamore is a writer, public speaker, seminar leader, and travel consultant. She is also executive director and producer of the Mr. Jack Daniel's Original Silver Cornet Band. This book was reviewed as part of the Thomas Nelson Book Review Blogger program. Jack Daniel's Spirit of Tennessee Cookbook by Lynne Tolley and Pat Mitchamore ~ Non-Fiction / Cooking / General ~ Received courtesy of the publisher for review and participation in their blogger review program.